It’s almost time, heathens. The Headbash starts this Thursday night at the Agora, thus ushering in three long days of bludgeoning darkness and stripped-to-the-bones hellish blasphemy. Subsequently, our last stream is a doozy. Featuring the band’s debut demo and a number of their (his?) 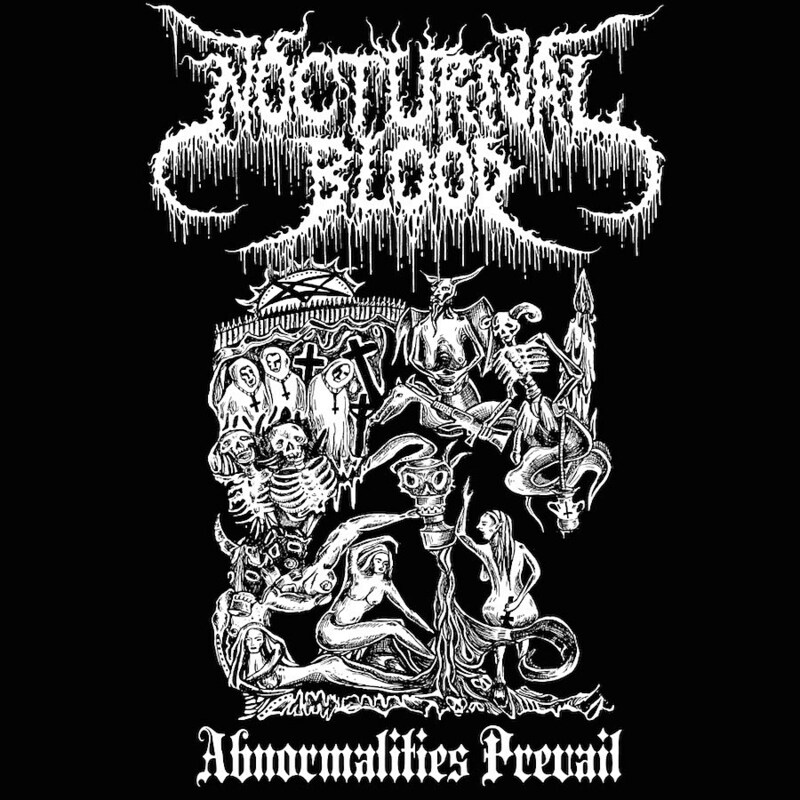 EPs, Nocturnal Blood’s Abnormalities Prevail is a an awesome collection honoring this one-man metal tour de force. A champion of raw bestial metal before the term was a present entity within music at large, Ghastly Apparition’s brand of churning bile and chaos evokes mental images of ancient caverns and heat lightning (as well as basement studios and cassette recorders respectively). Though Nocturnal Blood released it’s full-length debut, Devastated Graves – The Morbid Celebration, in 2010, and though his current project The Haunting Presence are very active (they’ll be playing the Headbash Saturday afternoon), it is the stripped-down early recordings present on Abnormalities Prevail that truly does Apparition’s vision justice. Listen below, and catch Nocturnal Blood’s exclusive performance at Hell’s Headbash on Sunday at 3:55pm.